Don’t you find it interesting that not one person we know in Claremont even knew that this forum was happening? 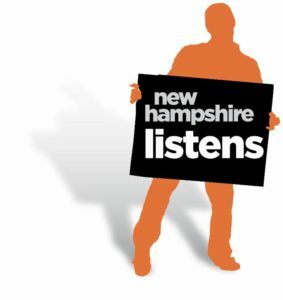 “More than 50 people participated in the roughly two-hour discussion sponsored by Vital Communities and moderated by Bruce Mallory of New Hampshire Listens, an initiative of the Carsey School of Public Policy at the University of New Hampshire. This entry was posted in Claremont, Local on June 1, 2018 by GSF. The Carsey Institute’s public relations firm and their troupe of actors will be holding a training session on behalf of the regional planners of NH and the world in Claremont. It is hoped that activists from Claremont will attend and see firsthand what they have up their sleeve for your city. This workshop is designed to give participants an understanding of the critical role of facilitators in the broad spectrum of public engagement work. We spend time walking through a typical “talk to action” process, and emphasizing the principles that guide our work. Fee $50 is waived for students and those with financial need. This entry was posted in Claremont, Miscellaneous on August 15, 2017 by GSF. Are there plans to bring Agenda 21 to your town? “Sustainability” is the hot new buzzword on the left. It’s the kind of word that sounds nice when you first stumble into it, but like everything else in the world of the eco-left, it really means control. It’s what United Nation’s Agenda 21 is all about. What might surprise you is that controversy over Agenda 21 tends to arise not from the dramatics imposition of its principles from above (like global warming), but from attempts to quietly insert UN dogma into local cities and towns. You and your neighbors need to know. This entry was posted in Alton, Bedford, Bow, Brookfield, Brookline, Central NH, Claremont, Dover, Durham, Education, Epping, Federal, Gilford, Goffstown, International, Keene, Laconia, Lakes Region, Lebanon, Legislation, Local, Loudon, Madbury, Manchester, Miscellaneous, Nashua, Nashua Regional, Newmarket, North Country, Rindge, Rockingham, Rollinsford, Sanbornton, Southern NH, Southwestern NH, State, Strafford, Upper Valley, Water on May 4, 2014 by Admin. There will be a Committee Hearing on January 16th on HB 1573 in LOB 301 at 1:00 PM. Please contact the Municipal and County Government Committee and attend and testify if you can. RPCs (Regional Planning Commissions) are the top down unelected boards who are implementing the federal government’s idea of sustainability through control over your local government. This entry was posted in Alton, Bedford, Brookline, Claremont, Dover, Goffstown, Lakes Region, Legislation, Local, Loudon, Manchester, Miscellaneous, Rindge, State on January 8, 2014 by Admin. The Claremont Business Corridor Project is underway; it is a continuation of the city center project, and information on it can be accessed at http://bit.ly/13Q9yBS. Claremont was awarded a community planning grant for sustainable development through New Hampshire Housing Finance. According to that agency’s website, municipal projects eligible for funding include those involving the creation of a master plan (and regulations) for pedestrian and bicycle routes, zoning changes, preservation of natural resources and creation of village centers. Officials point to how this grant will improve Claremont, but the origins of the sustainability movement paint another picture. Sustainability originates from the 1992 U.N. Earth Summit in Rio de Janeiro to address climate change. At that summit, President George H.W. Bush and 178 representatives from other countries signed the Climate Change Convention. This summit resulted in the 300-page U.N. Agenda 21, which can be viewed at http://bit.ly/1fmj8S1. That document’s Chapter 7, which concerns human settlements, addresses “sustainable city networks” as well as nonmotorized transportation modes, including cycle-ways, foot-ways and public transportation. Since the conference, President Clinton used an executive order in 1993 to form a presidential commission on sustainability. That continued until 1999; you can view the details at www. clinton2.nara.gov/PCSD/Charter/. The sustainability plan is going full steam ahead under President Obama through a 2012 executive order. The White House Council Strong Cities and Strong Communities is being implemented through the Department of Housing and Urban Development, the U.S. Department of Transportation and the Environmental Protection Agency. You can view this information at http://www.sustainablecommunities.gov. Sustainability will affect us all by infringing on our individual and property rights, as well as absorbing the budgetary impacts resulting from grant requirements. It is important to find out what lies behind sustainability. This entry was posted in Claremont on November 8, 2013 by Admin.